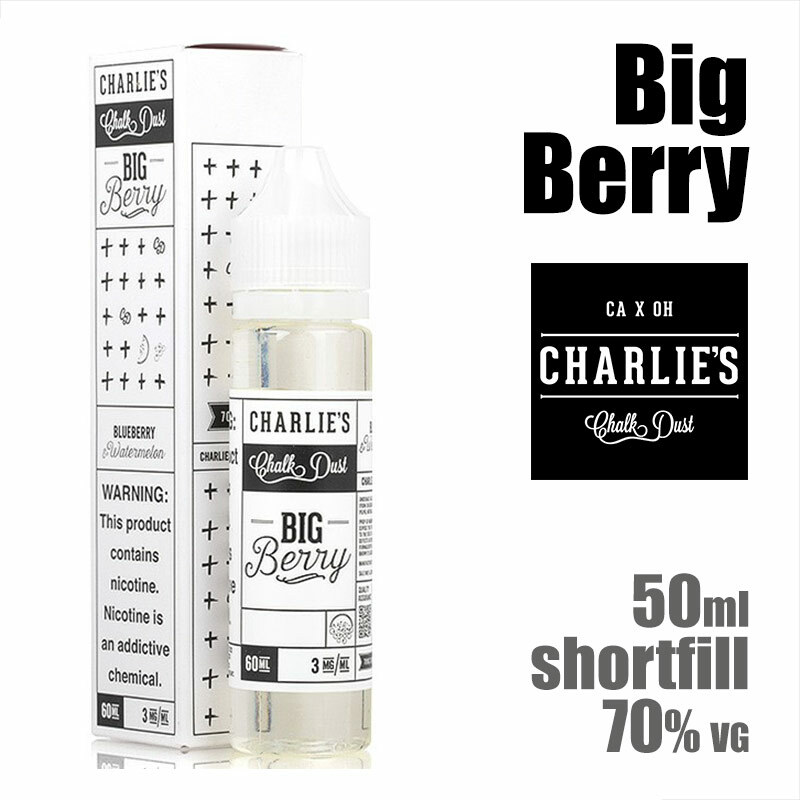 Big Berry – Charlies Chalk Dust e-liquids. 50ml of zero nicotine e-liquid in a 60ml bottle. 70% VG / 30% PG and flavourings. Made by Charlies Chalk Dust in Orange County, California, USA.